RMCAAT 2018 (Rajasthan Centralized Counselling for MCA) – Centre for Electronic Governance, Jaipur has released notification from the eligible candidates for admission to the MCA through the RMCAAT 2018 – Rajasthan Centralized Counselling for the academic year 2018-2019. 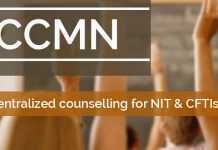 Candidates can read the complete detail of RMCAAT 2018 – Rajasthan Centralized Counselling for MCA such as application form, eligibility criteria, admission process, counselling schedule etc. on this page. 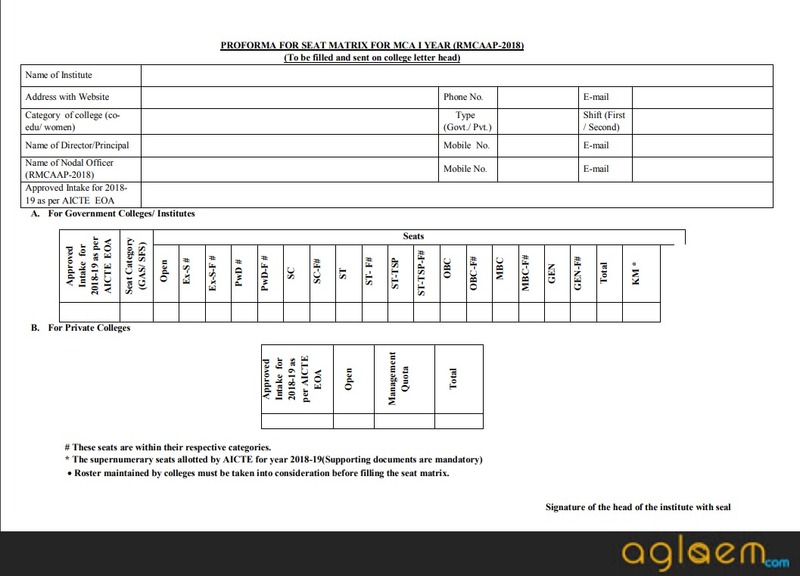 Latest: RMCAAT 2018 seat matrix for MCA 1st and 2nd year have been released. Admission would be made through Centralized Admission for MCA programmes. 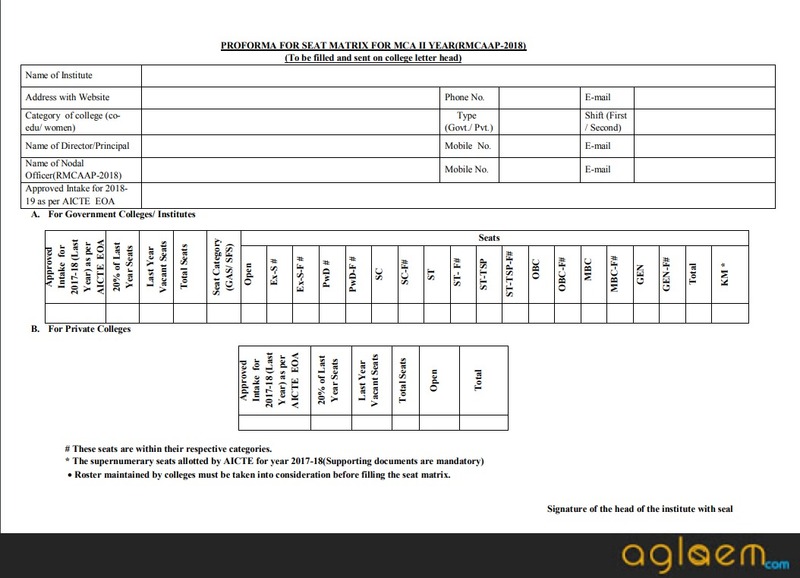 Candidates are advised to read carefully eligibility criteria and other details before applying for RMCAAT 2018. For admission in first year of MCA: The candidate having recognized Bachelor’s Degree of minimum 3 years duration with Mathematics at 10+2 or at Graduate level with at least 50 % marks in aggregate from recognized University. (45 % in case of reserve category of Rajasthan domicile) Candidates having degree of BCA/ B.Sc. (IT/ Computer Science) are exempted from having Mathematics subject in class 12th or graduation as per the Govt. letter No. 20(1)T.E./2011 dated May 10th 2018. For admission in second year of MCA through Lateral Entry: The Candidate having recognized Bachelor’s Degree of minimum 3 years duration in BCA/ B.Sc. (IT/ Computer Science) with Mathematics as a subject at 10+2 or at Graduation level with at least 50 % marks in aggregate (45 % in case of reserve category of Rajasthan domicile) without any approximation from recognised university. The admission will be performed in accordance with the guidelines provided by the Government of Rajasthan. 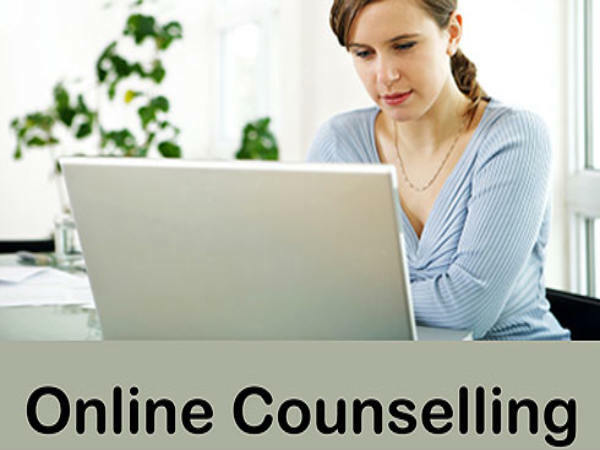 The admissions will be done through on-line counselling. The reservation of seats shall be as per the directions of the Government of Rajasthan. As prescribed by the Government of Rajasthan (except in case of Private unaided Institutions and 50% seats in the self finance course of the aided institutions) the reservation of seats will be made subject to the prevalent statutory provisions of the State of Rajasthan viz. 16% for SC candidates, 12% for ST candidates, 21% for candidates belonging to non-creamy layer OBC and 1% for candidates belonging to non-creamy layer MBC. Provision will also be made for horizontal reservation of 5% for candidates belonging to Person with Disability (PwD), 25% for women category and 3% for dependants of Defence Killed/Ex-servicemen / Gallantry award winners. Priority of the defence person/ Ex-S is as follows. EXS2 Disabled in action and boarded out from service/ Died while in service with death attributed to military service/Disabled in service and boarded out with disability attributed to military service while in boarded service with death out with disability. KM Category : 5% of total intake capacity over and above the sanctioned strength in each of the institutions will be reserved for Kashmiri migrants. Sons/daughters of the persons displaced from Jammu & Kashmir shall be eligible for admission through RMCAAT-2018. The candidate has to submit a certificate from the competent authority as a proof to being son/daughter of person displaced from Jammu & Kashmir. Acronyms of various categories are as follows. Centre for Electronic Governance, Jaipur has released notification for seat matrix of MCA Ist and IInd year. The seats will be allotted as per the directions of the Government of Rajasthan. Candidates need to fill the proforma and send it to the college letter head. For More Detail Regarding RMCAAT 2018 – Download Information Brochure.